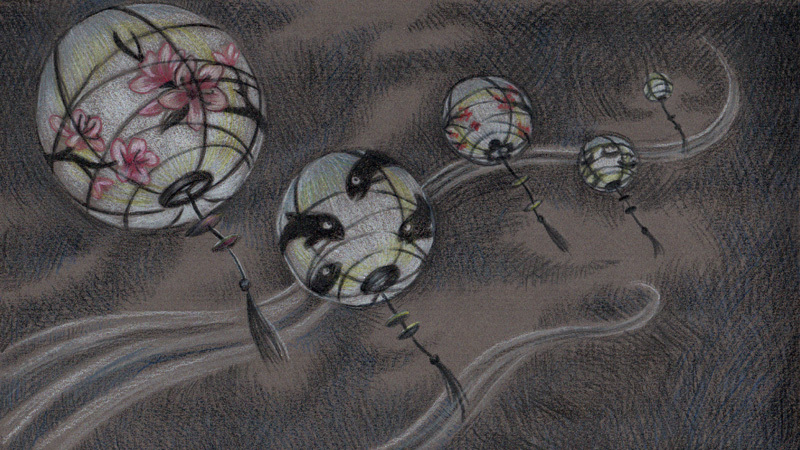 I was flattered to be asked to draw a still image to accompany Jeff Gunn's lovely Candle Lanterns song on YouTube. I am a fan of his work and sometimes play his songs while working. It's really relaxing and helps me focus. Jeff has partnered with pledgemusic.com to release his full album, All the Roads We Take, this October. The song, Candle Lanterns, was written to commemorate the Bang Fai Festival on the Mekong River in Thailand. His album contains a collection of songs that were inspired from his travels around the globe over the last 10 years. All the sounds in the album were produced solely on the guitar using harp harmonics and was built on the versatility and beauty offered by the guitar. I encourage you to have a listen and, if you like it, please consider making a pledge to help him get his album out. Additionally, he is contributing 5% of all proceeds to Plan International. Thanks so much for taking a look! Jeff Gunn is a Juno Award-nominated songwriter, contributor for Guitar World Magazine, Acoustic Guitar Magazine, National Geographic and author of the Hidden Sounds Guitar series. Below is the final image along with some of the draft versions leading up to it. I hope you enjoy!